Smoke alarms and heat detectors installed correctly save lives. Fires in the home result in around 50 deaths and 1300 injuries each year. 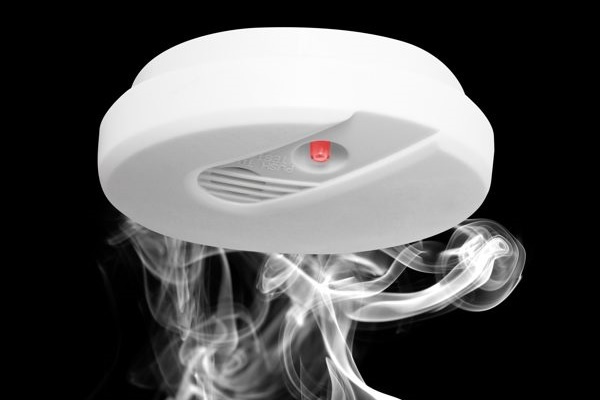 There are many different types of smoke alarm and heat detector available to buy and it can be difficult to decide which to fit. However, for peace of mind we would always recommend fitting mains powered smoke alarms and heat detectors as they don’t rely on batteries. We would also recommend inter-connecting smoke and heat alarms. With this set up if one alarm is triggered, all the connected detectors are activated. This is particularly useful in larger properties. Please be aware that if the property is an HMO (house in multiple occupation) there will be extra fire safety criteria to meet. As NICEIC electrical contractors, Capital City Electrical can fit mains wired smoke alarms and heat detectors to meet current fire regulations. For a small extra charge, we can even have the areas that were cut to make room for the wires, plastered and painted. We will leave your home or premises clean and tidy and safe from fires. We can also offer landlords in Edinburgh a complete electrical service to ensure compliance with all Scottish electrical regulations, including Electrical Installation Condition Reports (EICR) and PAT testing. If you would like to find out more about our smoke alarm service or any of our other landlord services, please get in touch today.